In this article we are going to look at configuring Asterisk PBX (Private Branch eXchange) with different Users/Extensions as well as REGISTERing X-Lite Softphone and Beetel M 71 Analog Phone with Asterisk Soft PBX. Asterisk is installed on Ubuntu 12.04LTS, X-Lite Softphone on Windows XP SP3. If Asterisk PBX is already running, stop asterisk service. 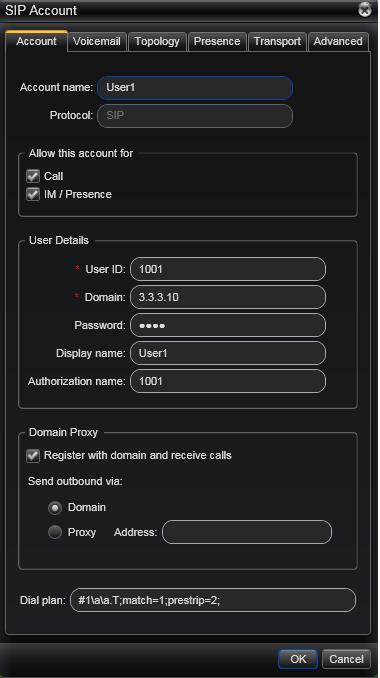 extern => 1003,n,Dial(SIP/1002,20,tr) is the config in above snapshot which says, "any call to extension 1003 will be forwarded to 1002". Analog Phone is connected to ATA (Analog Telephone Adapter). ATA will have Phone Ports (RJ11) for connecting Analog Phones and Ethernet Ports (RJ45) for connecting to IP network. 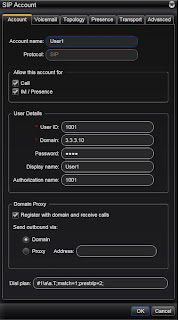 Below snapshot shows Analog Telephone Adapter (ATA) connection setting. 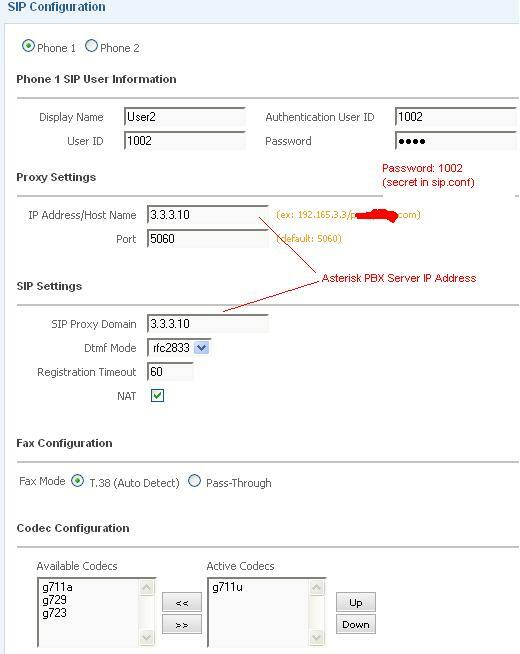 REGISTERing my X-Lite Softphone with Asterisk PBX. In the same way we should register Analog Phone(beetel M 71) with Asterisk PBX. Once the registration is done we can call from Analog Phone to Softphone or viceversa.